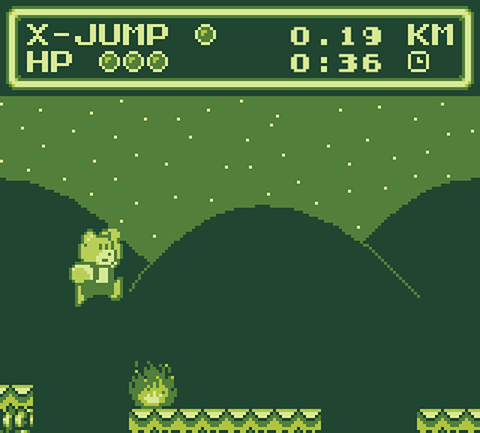 Note: The most updated version of this game can be found in Justice Bear: Playground, including bug fixes and a color mode. The basic version with some bug fixes is included in Justice Bear: Equinox. This version is the one submitted to #GBJam 2016 and kept published unmodified since then. It can't be easier, jump with up, space or the left button of your mouse. If you grab a rocket, you can double jump (x-jump). Try to avoid the fire, but some times, if you don't have a double jump, you will have to go through it! Check your health! While Bearnard and his family are enjoying the Spring Festival, the peaceful village of Amber Town is suddenly invaded by an unknown army. 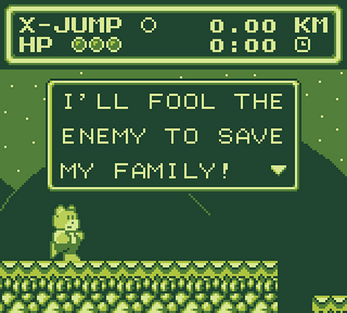 With just seconds to react, young Bearnard decides to draw their attention to give time to his family to hide. 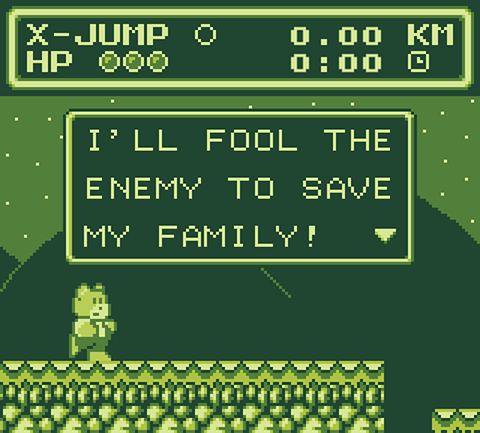 Help him cross the town while it's reduced to ashes, avoiding bombs and debris, and jumping across broken streets and fire pits. ★ Easy controls, just press one button and jump. You can use up, space or the left button of your mouse. But be careful with the timing! ★ Power ups to help you avoid the void. 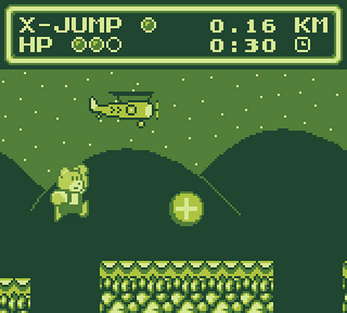 ★ Classic graphics, sounds and music with an old school Game Boy style.